The Ischia Combo tour is one of a kind! It gives you the opportunity to visit the island by land and by sea, exploring villages and historical centers but also sea caves and hidden beaches, all in 1 day! The combo tour of the island by land and sea starts at around 09:00 am from the closest port, in relation to where you are staying in Ischia. 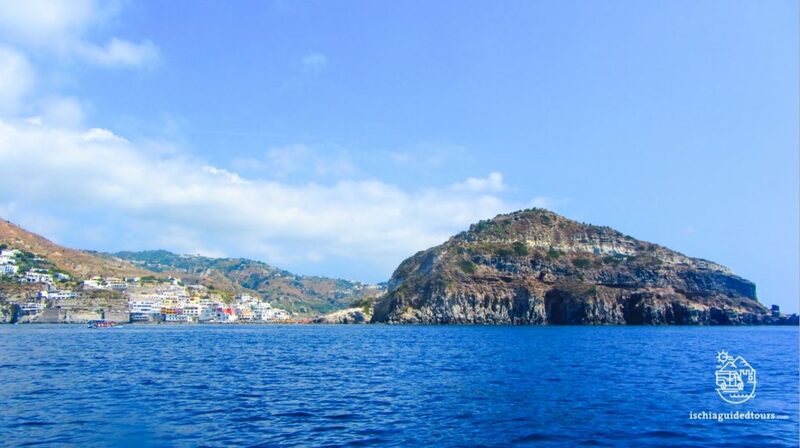 The first part of the tour of Ischia is on a private boat with skipper where you complete the lap of the island by sea with time for swimming, snorkling and sunbathing in the most beautiful hidden corners such as Cartaromana bay, Punta San Pancrazio, la Sgarrupata bay, Maronti beach, the Magician and the Emerald grottos. Towels and snorkling masks will be provided. After the tour by boat you are dropped off at the same port of departure where you meet the guide and the taxi to start the tour of Ischia by land. We drive through the different towns of the island stopping several times for photographs in Lacco Ameno, Forio, Serrara Fontana and Barano. In Sant’Angelo we visit the village on foot with time for shopping before returning back to your hotel by taxi. The tour includes private boat, skipper, fuel, private taxi or microtaxi, driver and English speaking guide in the second part of the tour. The itinerary of the tours may change due to unpredictable factors such as weather or traffic.